Yesterday marked the 40th anniversary of the massacre at Jonestown, where more than 900 American transplants "drank the kool-aid" in the largest loss of civilian life until 9/11. People's Temple leader Jim Jones said in recorded comments, "We didn't commit suicide. We committed an act of revolutionary suicide protesting the conditions of an inhumane world." A closer look at what led the pastor from biblical thinking to become "cult leader" Jim Jones. 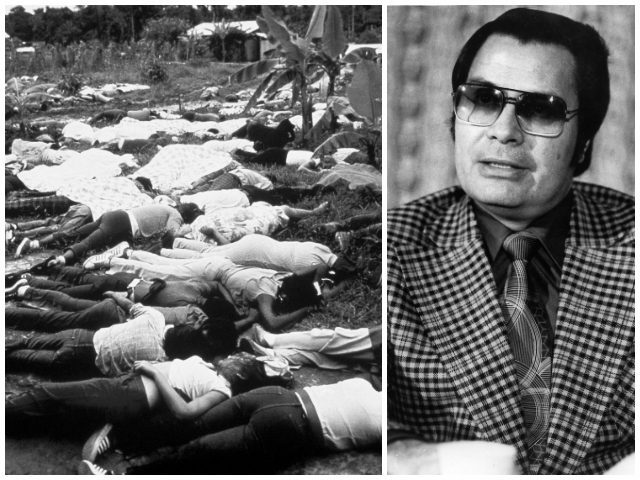 People's Temple leader Jim Jones says in the opening lines of the Jonestown death tape, recorded just prior to the mass suicide, "How very much I have loved you." Daniel Flynn writes, "In the four decades since the occurrence of the most bizarre event in American history, observers uniformly have seen Jim Jones' act described as 'revolutionary', while others have seen it as a terrible act of murder on the part of the leader---Pastor Jim Jones." Flynn wrote this weekend, on the 40th anniversary of the tragedy, that the 43-minute death tape suggests that Jones was likely guilty of murder. In either case, it was a tragedy that defies description. And it is the story of a biblical pastor that descended into the pit of what history simply calls, "The Jonestown Massacre." 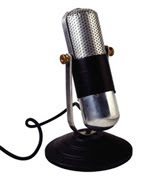 In a 2017 interview with PEOPLE Magazine, Jones biographer Jeff Guinn said, "Most demagogues work from a negative angle, but Jones recruited from the aspect of, 'Let's all work together and make this a positive world'." Before Jones became infamous as a murderous cult leader, he was known as an advocate for the downtrodden and the poor, preaching a message of racial harmony and equality. PEOPLE noted that "Former First Lady Rosalynn Carter, former Vice President Walter Mondale and California Gov. Jerry Brown lauded Jones' then Northern California-based church for its charitable efforts---such as drug treatment, free college tuition for impoverished youth and clothing give-a-ways." Former San Francisco Mayor Willie Brown once described him as "an American Gandhi." Pastor Jim Jones--In the beginning. 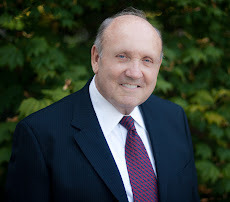 Jones began his ministry as a Methodist at Somerset Methodist Church in Indianapolis. He remained in the denomination for 4 years. He would later become involved with Laurel Street Tabernacle Pentecostal Church, and later become a part of the Disciples of Christ denomination. Rolling Stone Magazine described him as a "white minister who preached unconventional socialist and progressive ideas." In the beginning, Jones preached a gospel-centered message, but over time his emphasis changed to a social justice message. In fact, in the death tapes linked above, one woman is heard saying, "It's been a pleasure walking with you in this revolutionary struggle. 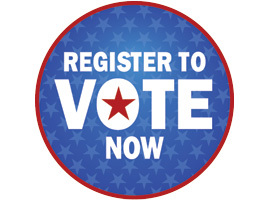 No other way I would rather go than to give my life for Socialism and Communism..."
Someone else is heard saying, "This is something we should all rejoice about." Pastor Jim Jones "evolved" from preaching the gospel to preaching socialism and "social justice." Rather than an act of nihilism, Jones masked mass suicide as an act of idealism, a sacrifice for the higher purpose of giving glory to socialism and communism. Charles W. Calomiris is a professor of financial institutions at Columbia University and a conservative distinguished Visiting Fellow at Hoover Institution. He published an informative article this week documenting the empty seduction of Socialism. He refers to a recent study by the President's Council of Economic Advisers (CEA) that states that "The advocacy of socialism cannot be reasonably based on policy preferences; its attraction has always been grounded in a combination of wishful thinking and ignorance." He says, "Socialism's appeal has always been its false promise to create wealth better than capitalism can." He says, "It's worth remembering that Karl Marx...regarded socialism as an economic necessity that would emerge out of the ashes of capitalism"---he was wrong. So was Pastor Jim Jones. While Jim Jones, and more currently Jim Wallis, Tony Campolo and other religious Left leaders---or Christian progressives, as they like to call themselves, continue to declare that "socialism is practical Christianity," it is actually antithetical to everything Christianity teaches. Socialism is not compatible with Christianity. A while back, Julie Roys, who was then with Moody Bible Institute, gave 5 reasons socialism is not compatible with Christianity. 1. Socialism is based on a materialistic worldview. According to Bernie Sanders, Alexandria Ocasio-Cortez and other political socialists, the greatest problem the world has is the unequal distribution of wealth. Sanders and Cortez are currently parroting the words of Jim Jones 4 decades ago. Cortez is saying, "We will focus on overcoming this historic bias of our organization [Socialists of America] toward white male activists. We will do so by building deeper ties with organizations representing the poor and working class women and people of color." This worldview contradicts Christianity, which affirms both a material and non-material world---and teaches that mankind's greatest problems are spiritual. The Bible says the cause of suffering is sin and salvation is found only in the cross of Christ, which liberates us from sin. Yet even if we are unable to accumulate wealth, the Bible teaches us that we can still experience the "abundant life." Socialists want to distribute wealth to individuals according to their need, regardless of virtue. Karl Marx famously said, "From each according to his ability, to each according to his needs." Ironically, Marx lived off others most of his life, not even providing for his wife and children. Aristotle once said, "Men start revolutionary changes for reasons connected with their private lives. II Thessalonians 3:10 says: "The one who is unwilling to work shall not eat." Paul taught that no one should be given aid whose family can provide for him. In fact, he taught that the man who fails to provide for his family is "worse than an infidel" (I Tim. 5:8). Even in dispensing aid, the early church rewarded virtue and discouraged vice. Socialism does the opposite. Barrack Obama once defended his socialist policies to a little girl with this: "We've got to make sure that people who have more money help the people who have less money. If you had a whole pizza, and your friend had no pizza, would you give him a slice?" That sounds virtuous. Christian. Right? But Obama wasn't endorsing voluntarily giving the boy a piece of pizza, he was advocating the government forcefully taking a piece of pizza and giving it to the person who didn't have one. Both the New and the Old Testament affirm private property. We can't even obey the 8th Commandment to not steal, unless we accept the notion of private property. The Bible clearly teaches we are to personally allocate our money according to our conscience. 4. Socialism encourages envy and class warfare. Socialists demonize the rich, blaming them for all society's problems. Bernie, Alexandria, Hillary, Obama and other political socialists condemn an entire class of people simply because they have wealth. The rich are not causing the problems, but even if they were, nowhere does the Bible teach that it should be taken from them and given to those who are not rich. Instead, it teaches that we should not covet (Exodus 20:17) and should be content in all circumstances (Phil. 4:11-13). 5. Socialism seeks to destroy marriage and family. Friedrich Engels, co-author with Marx of the "Communist Manifesto," once wrote that the society he envisioned would be one where "the single family ceases to be the economic unit of society. Private housekeeping is transformed into a social industry. The care and education of the children become a public affair. Hillary described it like this: "It takes a village." Bernie is calling for a "revolution in child care" beginning with children as young as six-weeks-old. To progressives, socialism and social justice is "utopia." To the biblical Christian it's a dystopia. Forty years ago yesterday, Jim Jones pursuit of utopia ended in horrifying mass murder/suicide. It is yet to be seen where modern-day religious Left warriors like Jim Wallis, Tony Campolo and the political leftist, socialist political counterparts will end up. They will either lead the nation into a cultural jungle of confusion and death, or will be defeated at the polls by clear thinking, conservative people who understand that capitalism is biblical. Socialism is not. WHEN...you take a gallon of water from the deep end of the pool and carry it down to pour it into the shallow end of the pool, what have you gained? Socialism is predatory, not progressive. It produces nothing...it only consumes. It is a parasitic methodology that allows people who with to think of themselves as 'sensitive and caring of others' to pretend they are better people by stealing from those who have more than they have and giving it to those who have less than they have. Charity is a voluntary spiritual exercise that benefits the giver even more than the receiver. When giving is forced upon the giver it ceases to be a spiritual benefit and becomes a spiritual benefit for either party. To the giver; his/her work-ethic is diminished, and an emotional/spiritual struggle against bitterness, resentment, and even guilt invades his/her mind and heart. To the receiver, it justifies and emboldens a sense of envy, entitlement, and resentment toward those who have more. It encourages them to view "others" as those responsible for their lives, and they are made increasingly "helpless", "useless", and puppets which the political/ideological puppeteers can employ to hate and tear down their political enemies. Back to the pool...not only does a one-gallon transfer add nothing positive to the pool, but the entire gallon never makes it the shallow end as it travels from the deep end. The "power" that extracts the gallon from the deep end drinks 20% of the gallon and spills another 10% of the gallon on the way. So ever four quarts taken from the pool only returns less than three quarts. As this process is accelerated the financial back of the nation is weakened and eventually broken. Only capitalism "creates" wealth. Socialism is a parasite that destroys wealth and creates nothing by spiritual, emotional, and even intellectual damage. Yet it is an excellent tool for those political ideologues who wish to create an eventual broken system with a power vacuumed they intend to move into when the opportunity arises. So long as our children are raised to embrace a value system based on "feelings" and "desires" instead of rational discernment and truth, the "collective" they represent will march to its own destruction and that of their nation. THIS...always has been the result of Socialism in history. It always morphs into a broken system, a power vacuumed, and a new Totalitarian government takes the place of a Republic. "Economic Equality" is finally achieved!! The masses are equally poor and the very few elite at the top consume all.